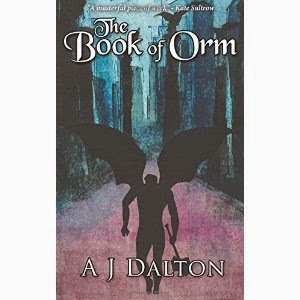 A J Dalton's "The Book of Orm" is a collection of short stories, six of which are by Dalton, that feature Nordic themes. Although each short has a different plot, themes of mythology, choice, and heroism run throughout the collection. A J Dalton uses a powerful, descriptive writing style to connect you with the characters. My favorite story is "From the Diary of St George," which revolves around a flawed character who explores the nature of sin. Nadine West and Matt White's contributions were also enjoyable shorts. If you enjoy shorts, especially those with Nordic themes, you'll love "The Book of Orm."